In The Excessive Subject: A New Theory of Social Change, Molly Anne Rothenberg uncovers an innovative theory of social change implicit in the writings of radical social theorists, such as Pierre Bourdieu, Michel de Certeau, Judith Butler, Ernesto Laclau, and Slavoj ?i?ek. Through case studies of these writers' work, Rothenberg illuminates how this new theory calls into question currently accepted views of social practices, subject formation, democratic interaction, hegemony, political solidarity, revolutionary acts, and the ethics of alterity. Finding a common dissatisfaction with the dominant paradigms of social structures in the authors she discusses, Rothenberg goes on to show that each of these thinkers makes use of Lacan's investigations of the causality of subjectivity in an effort to find an alternative paradigm. Labeling this paradigm 'extimate causality', Rothenberg demonstrates how it produces a nondeterminacy, so that every subject bears some excess; paradoxically, this excess is what structures the social field itself. Whilst other theories of social change, subject formation, and political alliance invariably conceive of the elimination of this excess as necessary to their projects, the theory of extimate causality makes clear that it is ineradicable. To imagine otherwise is to be held hostage to a politics of fantasy. 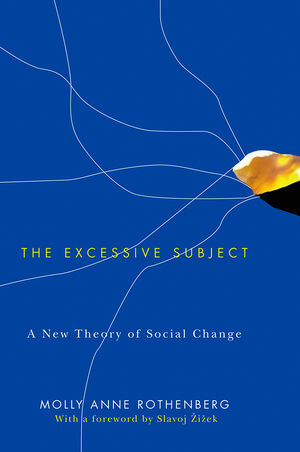 As she examines the importance as well as the limitations of theories that put extimate causality to work, Rothenberg reveals how the excess of the subject promises a new theory of social change. By bringing these prominent thinkers together for the first time in one volume, this landmark text will be sure to ignite debate among scholars in the field, as well as being an indispensable tool for students. Molly Anne Rothenberg is professor of English at Tulane University. She is a nationally certified psychoanalyst with teaching and scholarly interests that include British literature, gender and sexuality studies and post-Freudian psychoanalytic theory. She is the recipient of a Fulbright Flex Award for research at the University of Edinburgh. Introduction: The Excess of Everyday Life. Chapter One: What Does the "Social" in Social Change Mean? Chapter Two: Extimate Causality and the Social Subject of Excess. Chapter Three: The Social Structures of Bourdieu and de Certeau. Chapter Four: Butler's Embodied Agency. Chapter Five: Laclau's Radical Democracy. Chapter Six: Zizek's Political Act. Chapter Seven: Sinthomic Ethics and Revolutionary Groups. "The dagger that begins it cuts through Rothenberg's book with a fine precision. It dissects in the works of several of the most influential theorists of our day a powerful and new concept of cause which often gets away from the authors who struggle to define it. Rothenberg's astute argument is richly woven, lucid, and highly compelling." "We still don't know what a subject can do. We still don't know how to think subjective agency together with social causality. Rothenberg's path-breaking and systematic study of 'extimate causality,' combining psychoanalysis and emancipatory social theory, goes a long way towards formulating decisive new answers to these perennial questions." "Rothenberg's insights into the structure of the subject and its relevance for social and political theory are peerless. For anyone beginning to study the themes and thinkers covered in this book, this is the place to start."